That, after all, is what this election is about: if seiken kotai [regime change], the DPJ’s longtime mantra is to have any meaning, the DPJ must be prepared to change how Japan is governed. A change of government must be more than a change of the name of the party wielding Japan’s shambolic administrative machinery. To this end, the DPJ’s Kan Naoto opted for an observation tour in Britain. Kan was in Britain for six days, where he met with officials from government and opposition parties to discuss power transitions and relations between politicians and bureaucrats. (Although if the DPJ is going to look to Britain for lessons, can someone please send a box set of Yes Minister to Mr. Kan and company?). The DPJ has plenty of ideas for confronting the bureaucracy, many of which are spelled out by Kan in detail in the July issue of Chūō Kō ron. But the sum of these ideas is a scheme to destroy the customary practices that have given the bureaucracy its power, most notably the customs of allowing the bureaucracy to wield the power of personnel appointment delegated to the cabinet and respecting the decisions reached in the conference of administrative vice ministers. Perhaps it would be easier to change Japan’s administration if the bureaucracy’s powers were written into law. Changing customs can be more challenging, entailing a protracted war of words between the DPJ and the bureaucracy played out in the media. The bureaucracy’s goal is akin to the LDP’s goal: create a public image of the DPJ as an irresponsible party incapable of acting on behalf of the Japanese people. The media will be the primary arena for the battle between the bureaucracy and a DPJ-led government, but there will be other tools at the bureaucracy’s disposal. Bureaucrats may be able to use back channel connections to former bureaucrats in the DPJ in an attempt to sow dissent within the DPJ. Bureaucrats could leak information to the LDP in opposition to undermine or embarrass the government. We should expect that the bureaucracy will do whatever necessary to defend its prerogatives. The war has already started. Ichide Michio, administrative vice minister for agriculture, forestry, and fisheries, questioned the DPJ’s plans for income support for agricultural households as ‘unrealistic’ at a press conference, a clear case of political intervention by a supposedly politically neutral public official. Hatoyama Yukio responded to Ichide’s remarks by suggesting that in Britain ‘he would be sacked.’ Sasayama Tatsuo shows that Ichide was responding to leading questions from reporters, a mitigating circumstance certainly, but this episode shows what we should expect from the media should the DPJ take power — and more importantly, in the months leading up to the general election. Admittedly I should not be so quick to speak of the ‘media’ and the ‘bureaucracy’ as monolithic entities. Indeed, success or failure for the DPJ will depend on the extent to which the DPJ is able to sow dissent among bureaucrats, to find and support officials sympathetic to the party’s plans. But the point remains that the central task for a DPJ-led government will be engineering a dramatic shift in how power is executed in the policymaking process, a shift conceived by Kan as from ‘bureaucratic cabinet/centralized government’ to ‘parliamentary cabinet/decentralized government’ (the centralization dimension referring to the relationship between the center and the periphery in Japan as a whole). What the DPJ should not do is compare this task to the two previous great reforms, the Meiji-era reforms and the Occupation-era reforms. The DPJ is simply incapable of delivering reform on that scale, not because it is the DPJ but because it is a party in a functioning parliamentary system. Consider the circumstances during which the great reforms occurred. The first followed an internal, top-down revolution that enabled the new ruling elites to redraw Japanese institutions as they saw fit. The second set of reforms followed catastrophic defeat and was the product of an external, top-down revolution. In both cases there was a blank slate, or at least as blank a slate as possible in human affairs. Reform was largely extra-parliamentary — and as a result, opposition to reform was extra-parliamentary, isolated from power and easily repressed or ignored. Needless to say, the DPJ will not enjoy the same freedom. It will face considerable legitimate opposition, within the Diet from an LDP that will likely find its voice in opposition and even from members of the coalition government that will likely emerge from the government (even if the DPJ wins a simple majority due to the need to keep its upper house partners involved). It will face opposition from prefectural governors, mayors, prefectural and local assembly members, NPOs, industry groups, and unions. Sooner or later it will face opposition from a considerable portion of the public. And while the bureaucracy may not be elected, its members are certainly participants in the political process. Accordingly, the less grandiose the DPJ is regarding what it hopes to achieve through administrative reform, the less vituperative the party is in its rhetoric regarding the bureaucracy, the more effective the DPJ will be should it take power. I applaud Kan’s efforts to move the DPJ away from harsh, anti-bureaucracy rhetoric that will make it more difficult to work with the bureaucracy. At a press conference last week Kan stressed that the DPJ is not against the bureaucracy, that it recognizes that it needs to make use of the experience and intelligence of Japan’s bureaucrats. The DPJ, he said, stands for ‘post-bureaucratic politics, not anti-bureaucratic politics.’ Nakagawa Hidenao, Schmittian in his desire for political enemies, dubbed Kan’s remarks as heretical to the cause of administrative reform, a sign that the DPJ does not have the stomach to tackle the challenge. But Nakagawa has it precisely wrong. 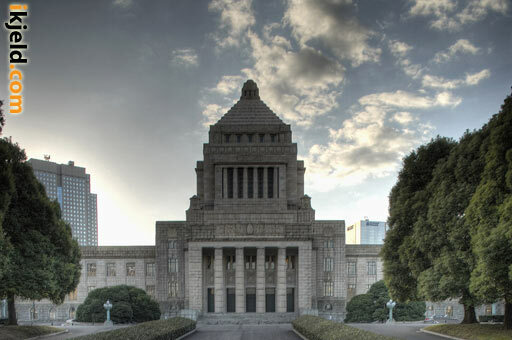 The existence of a strong, entrenched bureaucracy is a fact of life for any Japanese government. Demonizing the bureaucracy accomplishes nothing. As a party with no experience in governing the DPJ will be especially dependent on the bureaucracy. Does that mean that there is no hope for administrative reform? Hardly. In looking to unify cabinet and party, the DPJ has sought to learn from the LDP’s mistakes: bureaucratic rule has been harmful precisely because the LDP did little to prevent collusion between backbenchers and bureaucrats, which prevented the government from speaking with a single voice and enabled backbenchers to misappropriate enormous sums of public funds. A DPJ victory would be a positive development for precisely this reason, as it would represent an opportunity to create a system in which elected representatives serving as prime minister and cabinet ministers could determine national priorities and direct the administrative machinery accordingly, confident that their work would not be undermined by backbenchers following their own agendas. The task, in short, is to establish a clear division of labor between politicians and bureaucrats, making politicians accountable for setting national priorities and drafting legislation, and making the bureaucracy responsible for implementing the public’s will as embodied in legislation. LDP rule has effectively erased this line. The challenge for a DPJ-led government will be to restore it. Tobias Harris is a fledgling Japan/East Asia specialist — some have called him a “Japan hand,” although for now he is probably more of a “Japan finger” — who worked for a DPJ member of the upper house of the Diet 2006-2007. He is now a Ph.D. student in political science at MIT. He has been published in the Wall Street Journal Asia, the Far Eastern Economic Review, and the Japan Times, and has appeared as a commentator on CNBC Asia’s “Asia Squawkbox.” He maintains the excellent political blog Observing Japan.